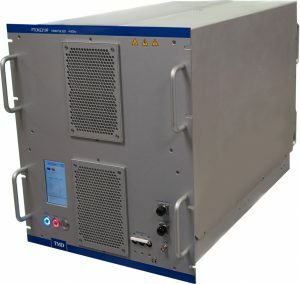 TMD Technologies Limited (TMD), world class, UK based manufacturer of professional microwave and RF products, will be showing a representative selection from its advanced TWT (Travelling Wave Tube) based and solid state MPM (Microwave Power Module) EW portfolio on Stand C16 at this year’s EW Europe 2019 event in Stockholm from the 13th -15th May 2019. To showcase its latest product including high efficiency MPMs, and advanced Ka band microwave amplifiers. TMD Technologies Limited (TMD) – a world class West London based manufacturer of advanced microwave and RF products – will be again be exhibiting at IDEF, on Stand 226E in the ADS UK pavilion. At this key event TMD will be showcasing a representative selection from its wide range of microwave products for air, land and sea defence applications. 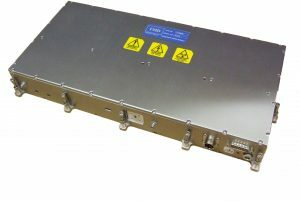 TMD Technologies Limited, world class, London based manufacturer of professional microwave and RF products, has introduced two new amplifiers to its advanced PTX range of microwave power modules (MPMs) for radar, EW and communications. Designed for high power radar applications, on land, sea or air, these new MPMs have a power output of 1 kW over the frequency range 9-10 GHz – with duty cycles of 5 and 10% respectively and 55 dB gain. Prime power is 28 V DC. TMD Technologies Limited, independent world class, West London based manufacturer in the microwave and RF field, has received an overseas order for its PTX8807 Ka band 200 W microwave power modules (MPMs). The PTX8807 units are for use in a multi-MPM naval radar jamming system to be deployed in a NATO end use. Each system utilizes multiple MPMs – depending upon antennae configuration. The PTX8807 MPMs supplied by TMD have been specifically designed for such use and incorporate the company’s very latest high reliability PSU and associated TWT technology. 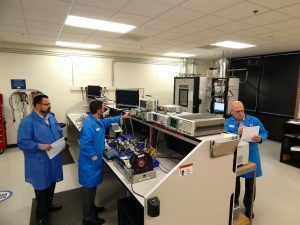 Furthermore, the MPMs can be combined for higher power system requirements or provide graceful degradation/improved system reliability in the event of a failure in any one of the units. and is being used in a major naval multi-MPM radar jamming system. Exhibiting again at the Electronic Warfare GCC event in the Emirates, TMD Technologies Limited (TMD), major West London based manufacturer in the microwave and RF field, will be showing a representative selection from its advanced TWT and solid state based MPMs (Microwave Power Modules) for Electronic Warfare on Stand 9.